Shore Vascular & Vein Center Blog HOW DOES LASER TATTOO REMOVAL WORK? Getting a tattoo is difficult, but getting it off is much harder. Fortunately, you can make this process easier by opting for laser tattoo removal services. To understand how laser tattoo removal works, you first have to understand how tattooing works. Basically, when you get a tattoo, the needles inject ink to your dermis. This ink, which is usually made of heavy metals (among other ingredients), is considered to be a foreign object by your body, so your immune system tries to “attack” it by sending white blood cells to remove the ink. But ink particles are larger than your cells, so they can’t be removed right away. Your body doesn’t give up, though, so it continues to send white blood cells to “eat” the ink; this is why new tattoos look clear and sharp and 20-year-old tattoos look faded. Laser tattoo removal speeds up this process by using laser to heat up the ink particles and break them down. Since the ink particles become smaller, they can now be “eaten” by your white blood cells, removed from your skin, and brought to the liver for disposal. 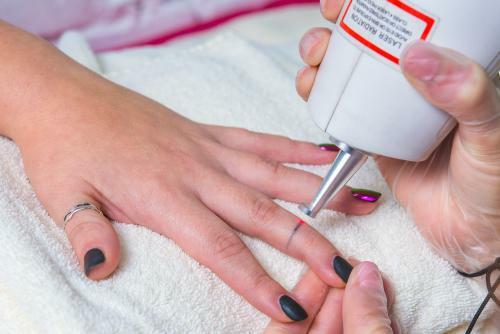 After several sessions, the ink particles get smaller and smaller, and you’ll notice that your tattoo has become lighter or may even have disappeared completely. Visit us at http://getgreatlegs.com/laser-tattoo-removal/ to review how we can assist you with your tattoo removal.